Model aircraft for bonding. Size: 1:72; 29.5 cm. Packaging includes: 257 pieces for gluing. 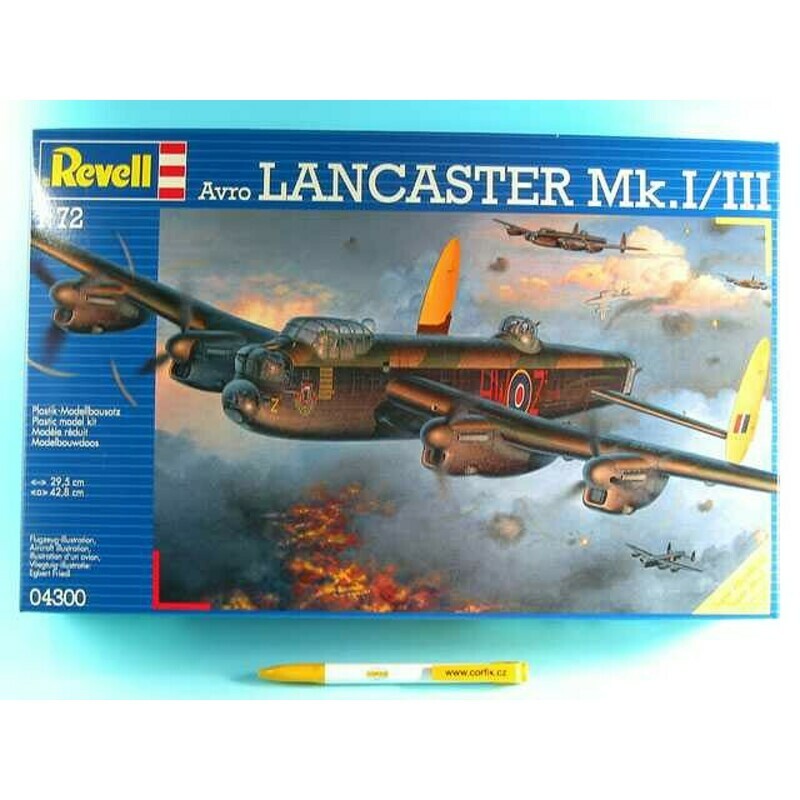 The four-engine Avro Lancaster was undoubtedly the most famous of all RAF heavy bombers in the Second World War. Since 1942, he has formed the backbone of the night bomber offensive deep in Germany, and has won his glory thanks to the sinking of the Tirpitz and the destruction of the dams Möhne and Eder. Lancaster was able to carry a cargo of more than 9, 980kg of bombs, the most difficult was "Grand Slam". He was in service until 1945 in 68 Squadrons of the RAF Bomber Command and flew over 156,000 outposts. Out of a total of 7,300 drawn aircrafts, almost half were lost. Today there are only two workable examples, one in the UK and the other in Canada.